On this Throwback Thursday, I’d like to take you back a few months. Not so long ago, my idea of exercise was my 8-minute walk to work, popping into the tuck shop at regular intervals throughout the day, and trekking around town trying to decide what unhealthy meal to have for lunch. So, as you can imagine, signing up to Born Survivor came as a shock to myself, my colleagues, and on the day, my system. But what is Born Survivor? Well, it’s defined as being an epic 10km military, 30+ obstacle course designed by Royal Marine Commandos to challenge you. And it does! 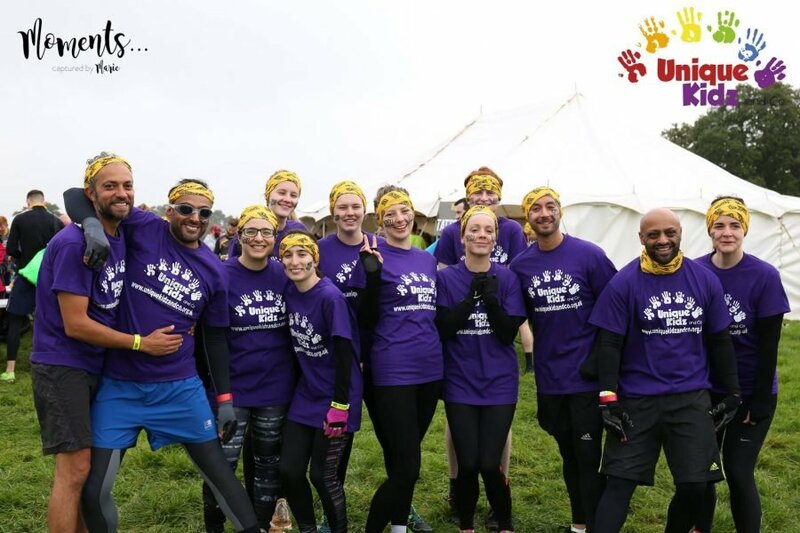 You crawl, climb, run, slide, leap, and walk through tough obstacles located in some of the UK’s most beautiful surroundings. We signed up for the 2017 Lake District Born Survivor, located in Penrith on September 9th – but we actually received the invitation from Kevin Bedford, the Event Director, back in June. Which was when I bravely volunteered as tribute (along with 14 others) and our dream team started taking shape. Even our directors eagerly signed up to take on the challenge! Our digital marketing agency signed up for the 10AM wave (right after the Elite Squadron, so no pressure!) and got our training shoes on. We started training straight away by going up to Lancaster University’s Trim Trail. This was barely one-tenth of what Born Survivor had in store for us, but it did have monkey bars and other obstacles that also had us practicing our crawling, jumping, and climbing. Looking back, it was fantastic training for an exercise newbie like myself! So why did we put ourselves through something that took a lot of people (especially me!) out of our comfort zones? For Unique Kidz & Co, of course! As our charity of the year, we have been raising money to support them in the fantastic work they do with disabled children across Lancashire and Cumbria. Our work tuck shop (which I am very familiar with) is already raising quite a good sum, but we wanted to challenge ourselves into fundraising even more money! And with Unique Kidz & Co also being one of Born Survivor’s partner charities, it was truly a match made in heaven (well, depending on who you ask). We set up a Just Giving fundraising page almost straight away, which is still going strong and raising money to this day! So far, we’ve raised an amazing £3,620.01 and we couldn’t be prouder of everyone who has donated or gone out of their way to encourage donations. 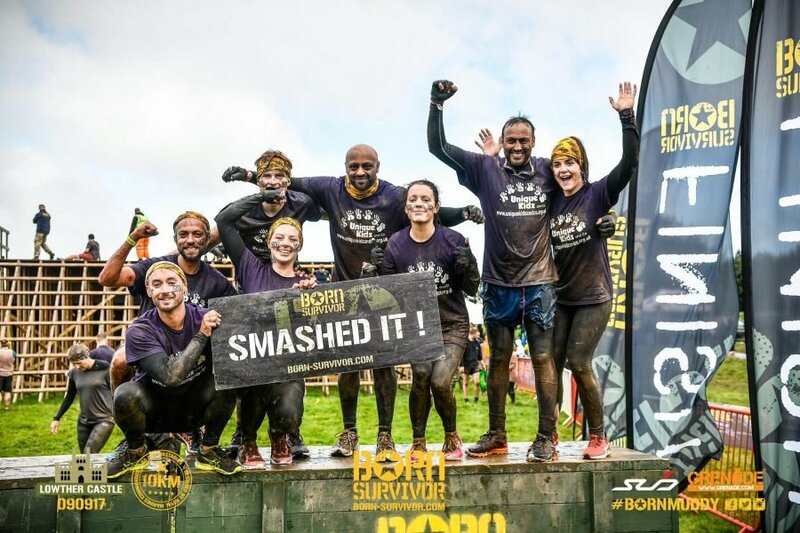 If you’re thinking about taking on Born Survivor next year, I’ve gathered the troops and asked for their very best tips for preparing for and conquering this beast of an obstacle course. Here are our top 10 tips (with some inspirational advice thrown in too) to help you become ultimate BORN SURVIVORS! Have fun! Enjoying yourself is so important, especially when you’re doing it to support such a wonderful charity such as Unique Kidz & Co. If you’re like me and had to fix 27 years of no exercise and unhealthy eating in three months, I can guarantee that there will be a whole load of panicking to begin with. In fact, I believe my exact words as I signed up were “I may live to regret this”. As someone who considered walking up the stairs a chore, I can tell you that there was a lot of panicking happening in those first few months. However, I assure you that there is absolutely no need to worry! Not only will it take the fun out of the build-up, it’s also unwarranted – trust me when I say that it’s such a wonderful experience. Don’t make training more difficult by constantly telling yourself that you can’t do it – if I can, you can! Completing Born Survivor with my team was amazing, and honestly the most fun I’ve had in ages. Will your team laugh at you if you fall? Of course! But that’s part of the fun, and you can always get them back later – trust me, everyone takes at least a tumble or two in the mud. 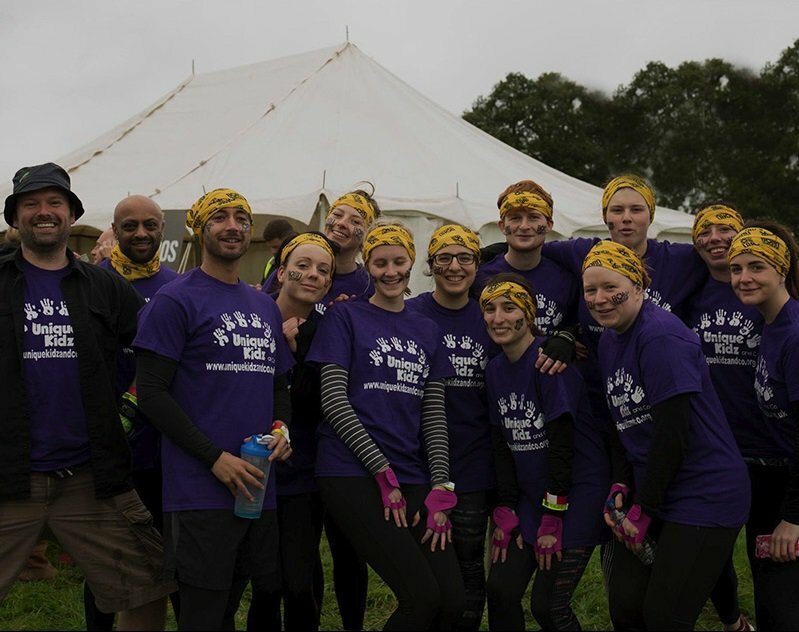 Even complete strangers helped me out during obstacles when I struggled (being 5’1” may have helped too), which goes to show the phenomenal team spirit that Born Survivor inspires. There is something special about starting and finishing with the team you’ve been training with for months – a real sense of achievement that didn’t even need vocalising! Encourage your friends and family to get involved –they won’t regret it! I would definitely advise you to start training as soon as you sign up. I started straight after joining up, walking and lightly running to build up my stamina. I made myself buy that yoga mat I always eyed longingly and used it after work and on weekends. Whatever works for you, just get started; there will never be a better day to start training than today! I’ll admit, my love for McDonald’s was a weakness I had to work on. But I was good and I abstained for the entire week before Born Survivor (quite a feat for me, I assure you) and ate a lot of vegetables and protein-filled food. The trim trail at the Uni really showed me how weak my arms were and I focused on that during the weeks before the course. Study as you have never studied before! I watched countless videos of past courses and went through all the photos on the official website alongside videos on how to climb over walls. Here’s where I send you back to Tip #1 and tell you not to panic again, because those official photos make Born Survivor look much more difficult than it is. It’s not easy, but it’s incredibly worthwhile, particularly when doing it for charity. When we signed up for the September Born Survivor, we prepared ourselves for it being cold and rainy – it is England after all! So, one piece of advice would be to get your sports gear on and start training in the rain AND in the mud. Crawl, run and drag yourself through the mud – even if you don’t feel like it. Nothing can prepare you for the actual course, but training on similar grounds will give you a great idea of what to expect. I didn’t want to be that person who lost their shoes in the mud on the first obstacle. In fact, I made avoiding this my ultimate goal. I looked through website after website at sports shoes until finally deciding on some nice, on-sale-for-£15 trail shoes that didn’t let me down at all. I had a vision in mind: long-sleeved sports shirt, ankle-length sports trousers, and gloves for grip. Had I known better, I would have added knee pads to that list because my knees were a minefield from crawling through rocks, plastic, wood, and dirt, and they’re still bruised to this day! The Mincer was the bane of my existence. For those new to Born Survivor, this obstacle involved squeezing your body through the mud and underneath a series of tyre rollers. It’s every inch as painful as it sounds! To this day I still curse them for making us do it twice! I thought the 16-foot wall would be my downfall but The Mincer tested me both mentally and physically. Here’s where my team were absolutely fantastic, from cheering me on, to helping me out from under the tyres when I had no more strength left in me. By kilometre seven I was already dreaming of pizza and chips. I had a healthy and filling breakfast at 7AM, so it was around lunchtime when the hunger pains started to kick in. I was glad for the cereal bars I packed, but they weren’t quite what I was dreaming about. Changing into dry and warm clothes was the best feeling, and I absolutely recommend plastic bags for the dirty clothes you change out of. I also can’t describe how that first bite of pizza felt! The final and perhaps most important tip? Have fun! Enjoying yourself is so important, especially when you’re doing it to support such a wonderful charity such as Unique Kidz & Co. And I can personally say that I had a lot of fun and would definitely do it again (really!). It was very challenging but so worth it. The 150-foot waterslide (The Grim Reaper) was my favourite and it was actually easy to go up the 16-foot wall (with some help from a group of guys who were pulling everyone up). I laughed my way through the obstacles with my team and we kept each other going with horrible singing and thoughts of a nice, warm shower. Between watching my teammates laugh, slip, fall and slip some more, we all crossed that finish line for the kids at Unique Kidz & Co. The experience was amazing, but in the end, knowing how much money was raised is just phenomenal. We’re all extremely proud of what we accomplished and we’re very happy to say that we’re all 2017 Born Survivors.